Yash Raj Films and IMAX Corporation today announced that the action thriller DHOOM:3, the next offering from YRF, will be digitally re-mastered in the immersive IMAX format and released in IMAX theatres across India and select global locations next year. The film marks the first Indian local-language production to be released in IMAX. The Company currently has 14 IMAX theatres open or contracted to open in India. From producer Aditya Chopra and director Vijay Krishna Acharya, and starring Aamir Khan, Dhoom:3 is the next installment in one of the most famous franchises in Indian box office history. Also starring Abhishek Bachchan, Uday Chopra and Katrina Kaif, the film tells the story of the adventures of Jai Dixit, a no-nonsense cop, and his scatterbrained partner, Ali. 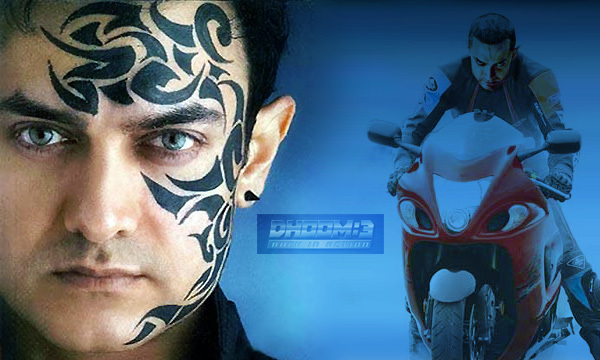 The success of DHOOM and DHOOM:2 have established this as Bollywood's pre-eminent franchise. Speaking about this collaboration, Yash Chopra said, "IMAX has always symbolised high quality film entertainment and experience and this vision of the company works very well with the ethos of YRF which has been synonymous with Indian film entertainment over the last four decades. We are indeed happy to announce our association with IMAX for the additional release of DHOOM:3 in this exciting format next year. Added to the anticipated thrill that the film promises, this IMAX experience will give it an all new edge of the seat dimension altogether. We look forward to closely working with their team over the coming year." hi. seems very exciting. cant wait anymore for the release. Will be back for more updates. Yet another installment added to the Dhoom movie series – Dhoom 3. Adding a feather to the franchise's acheivements is that this is India's first local-language production to be released in IMAX. Eagerly waiting for Aamir Khan to woo the movie lovers in December. Now you can watch sony tv live ,Zee Tv Live featuring shows like C.I.D. and Kaun Banega Crorepati.MSM’s family of channels in India include: SAB TV, SET Max, Sony Aath, SET PIX, AXN, Animax .